We've all encountered those drivers who feel as if they're king of the road, by doing what they please behind the wheel. Thankfully, karma intervenes and they get their comeuppance. 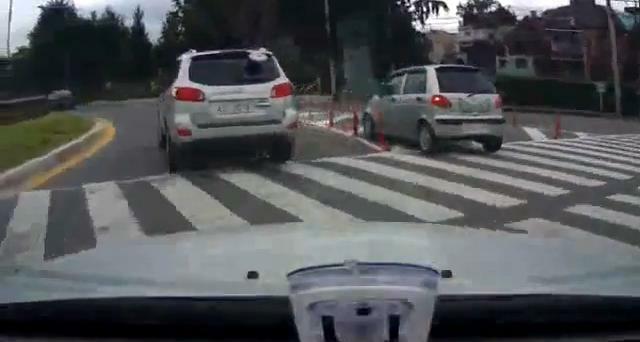 For example, this Daewoo Matiz driver in South Korea is evidently impatient. They want to turn left but aren't willing to wait in a queue, so the driver is speeding on the outside lane, attempting to squeeze in where possible, but because they were so distracted, he or she failed to notice the closed triangle in the middle of the road and as a result, got caught inside.